Generally most measurements in the photographs are in inches and if with scale then this is adjusted in pounds . Basic shipments CFR until Port or several Terminals to USA and Canada start at about 500 USD . Depending on volume this could vary . Once a basic shipment is paid there is only little increase if more purchased and combined . For Shop prices we can offer discounts if more purchased or other individual posibilities and payment terms . Please inquire with your postal code and name of city for details . 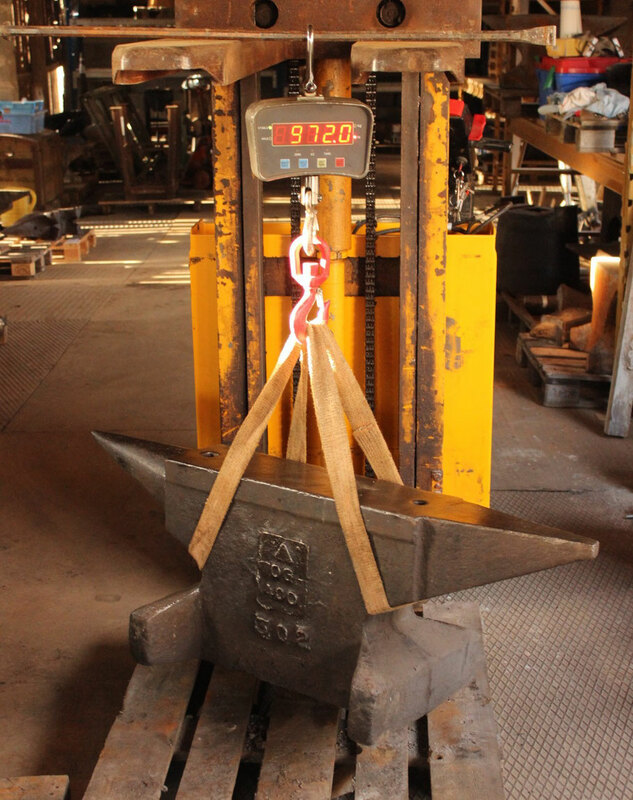 We can offer you a large variety of blacksmith anvils and tools . Absolutely professional and export expirienced since many years . Several international clients as collectors , buisnesses and resellers . After first contact we can also talk by phone personally , We speak english . Hablamos español . Depending on the weight and volume of purchase delivery there can be always found a proper shipment solution. Contact us by email with questions and we can provide you full informations shortly .